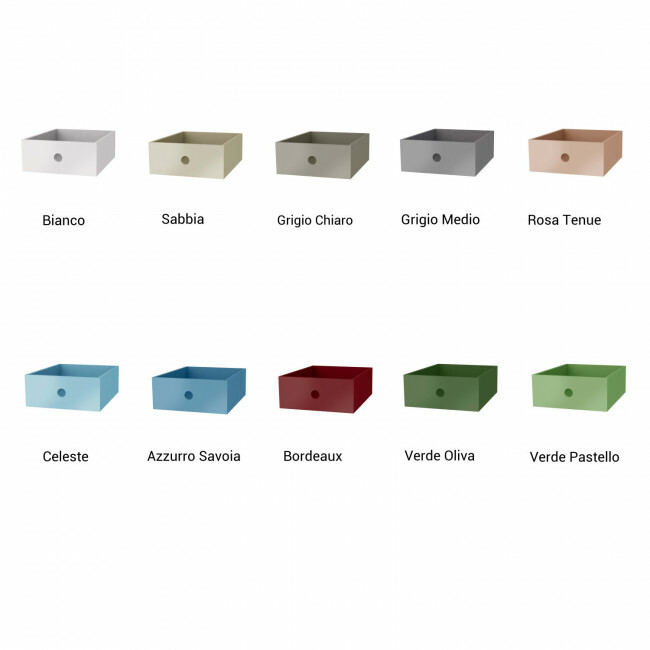 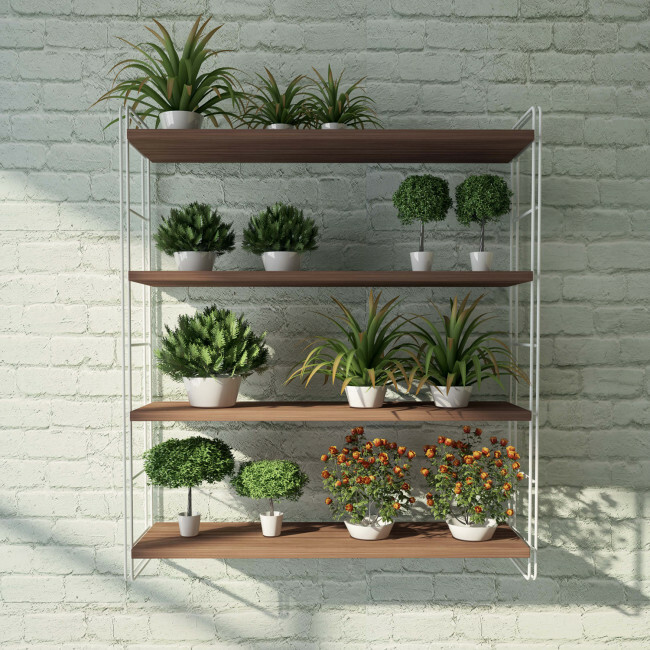 Link Free is a metal modular bookcase with wooden shelves coated in melamine coming in white, Canaletto walnut, taupe, light elm or dark elm. 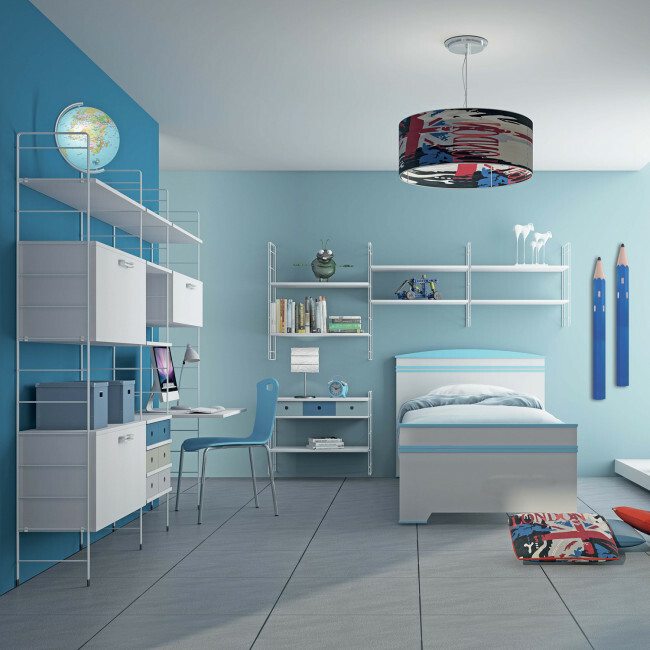 The bearing structure is composed of metallic wire columns in chromed finish or painted in white and they can be equipped following your needs. 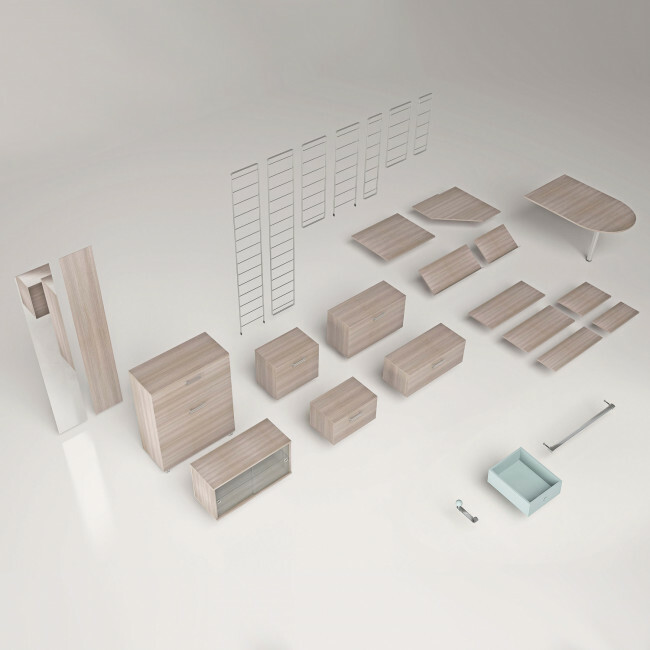 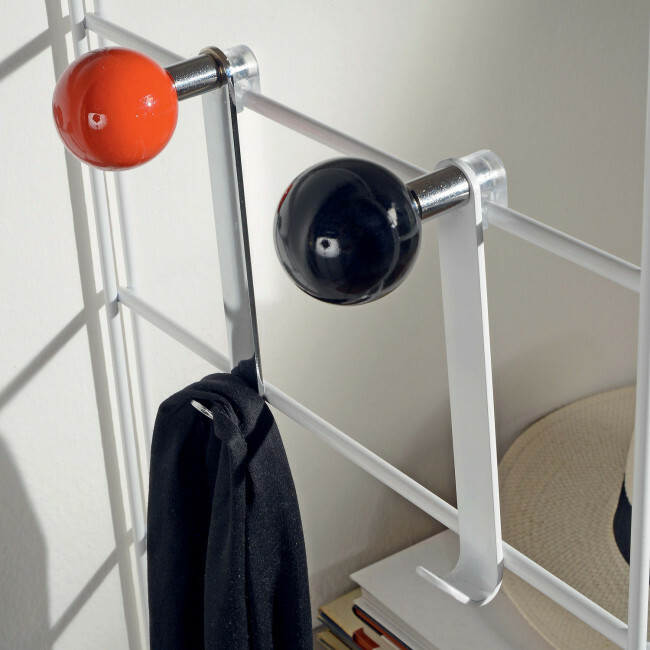 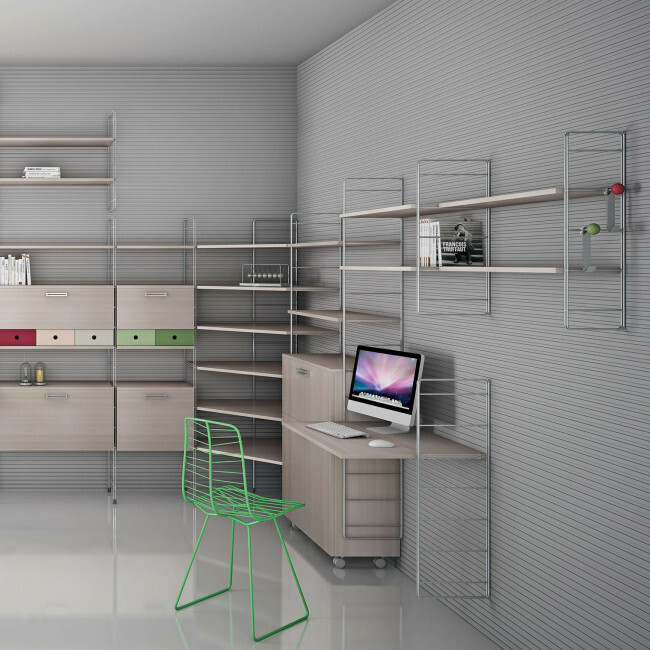 Link collection also offers a variety of accessories from shelves to wide storage units and drawers. 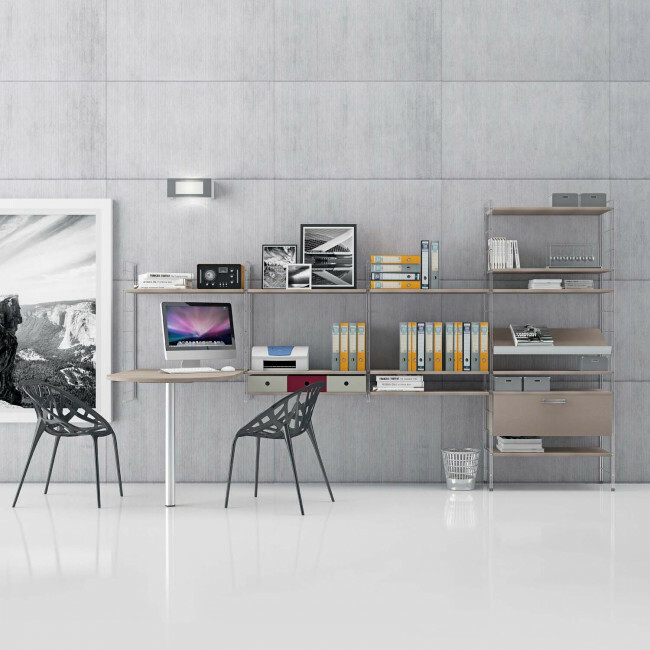 You can compose your own custom made solutions thanks to the variety of options available, using the space you have at disposal up to the centimetre. 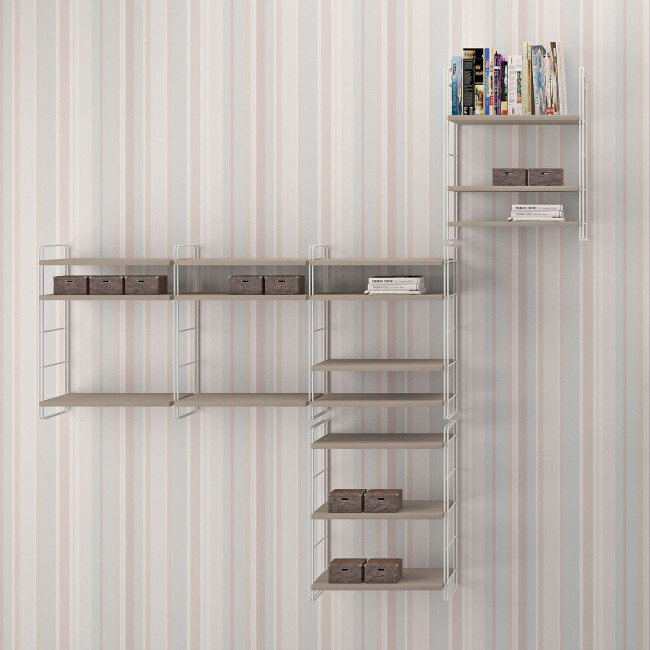 By using the elements at disposal you can create wall bookcases perfect to furnish every environment of the house. 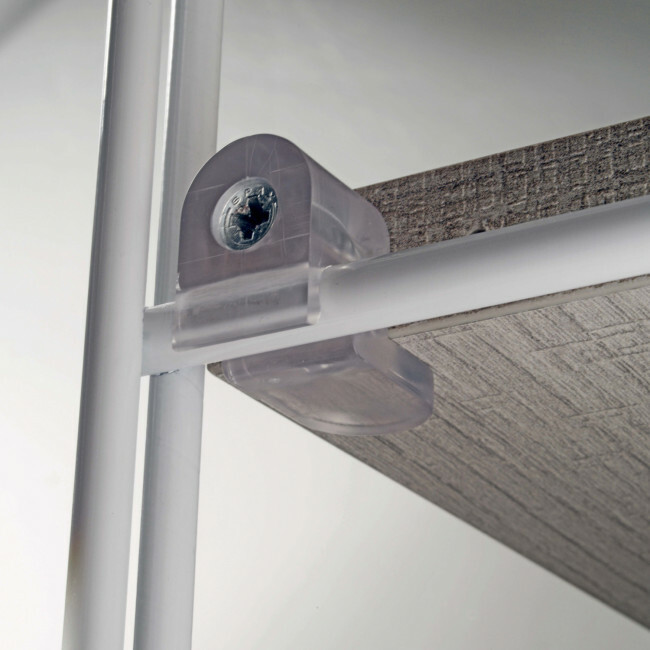 The materials used are extremely practical and hygienic, thus making Link a versatile solution suitable for bathrooms and kitchens. 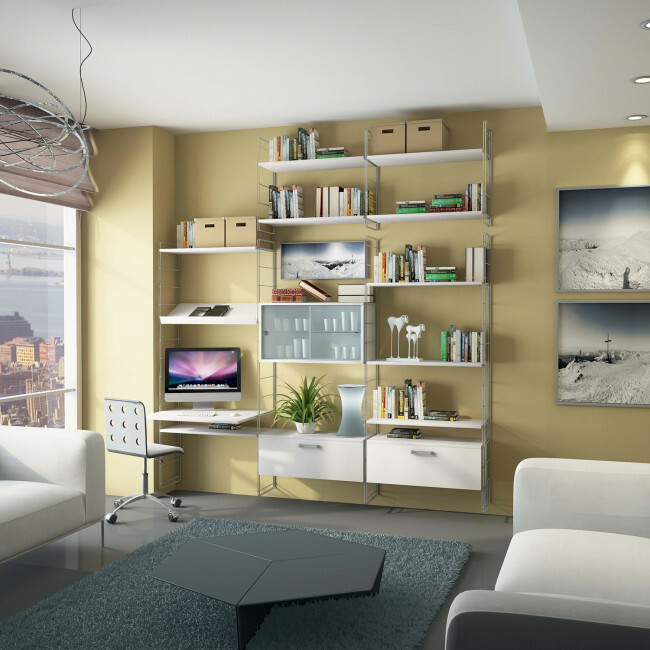 The columns can also be fastened to the ceiling for hanging bookcases or standing simply on the floor for wall compositions or partitions. 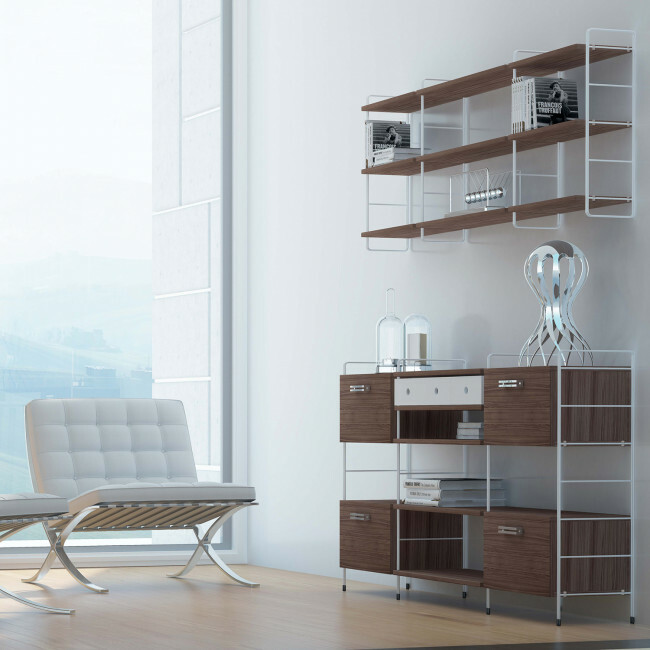 Among the available accessories you can also find storage units with wood or glass doors, drawers, desks, magazine racks ideal as display cases if you want to use Link in stores. 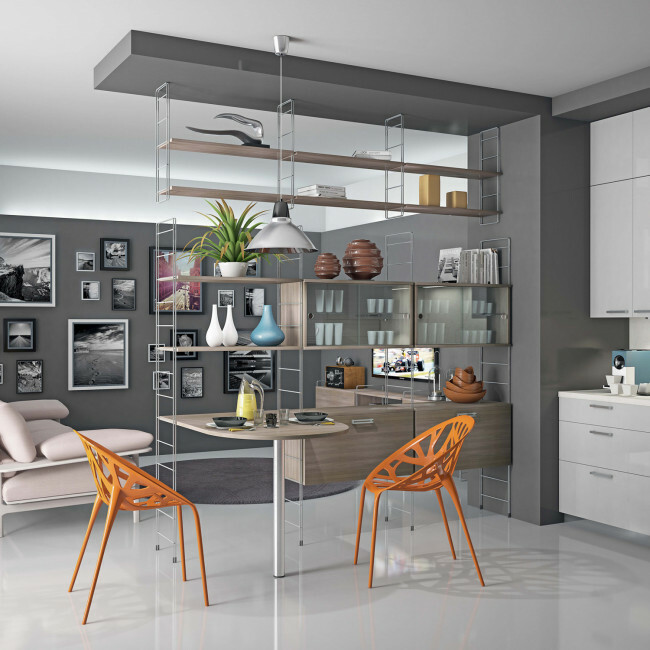 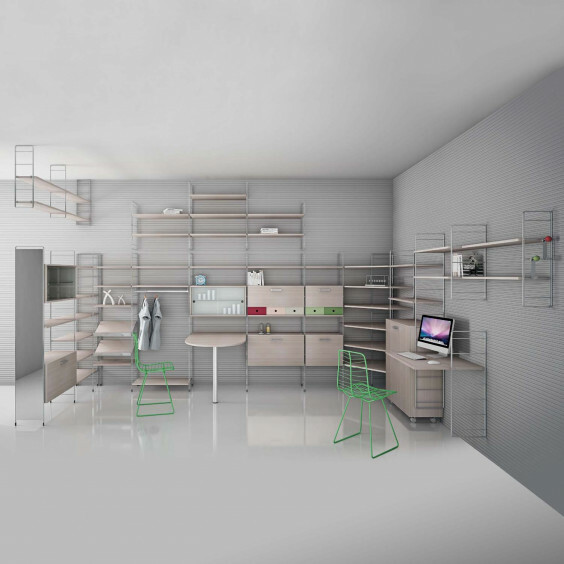 In case of bookcases working as double-sided partitions the accessories can be placed on both sides, in this way you can use them for different needs: as you can see from the images you can for example use one side for the kitchen area and the other side for the living area. 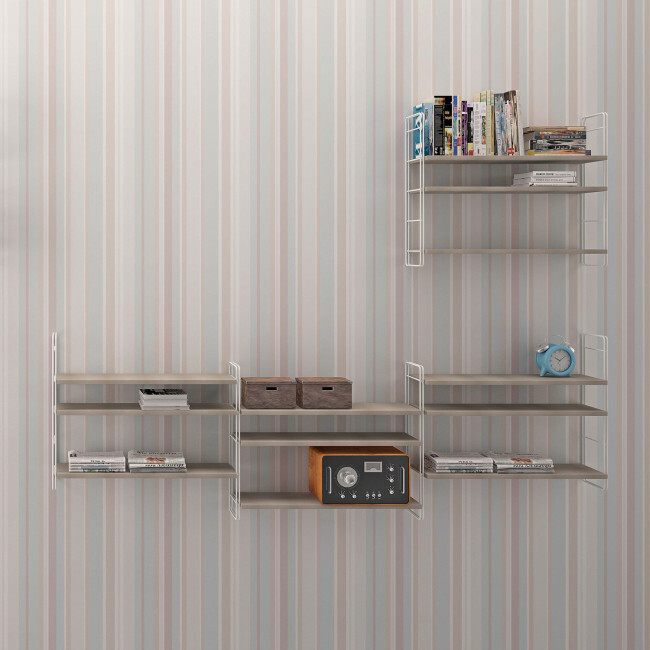 cm 50 / 75 / 85. 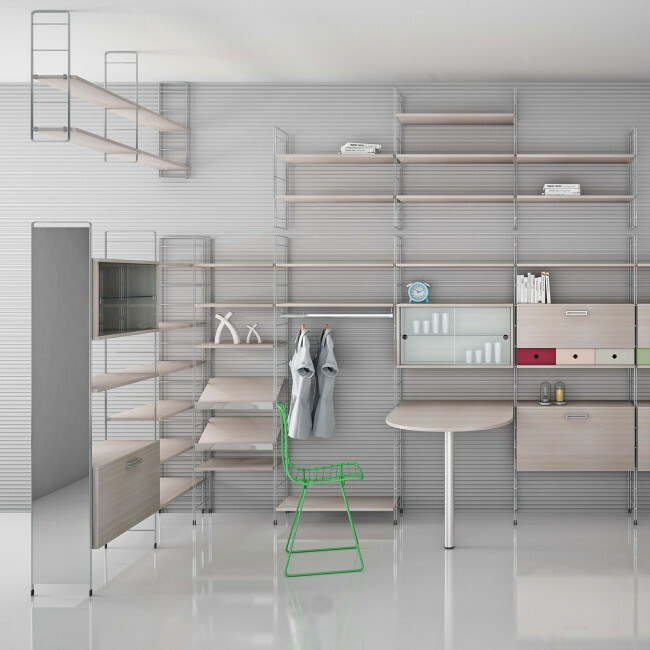 Link Free is a modular bookcase in metallic wire with shelves in melamine wood belonging to Link collection: a modular system with columns available in different heights and equipped with shelves in different widths. 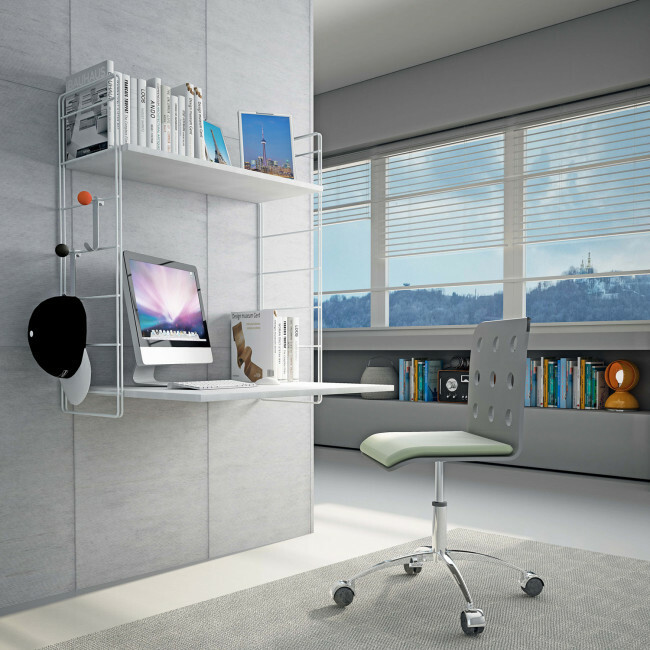 Link Free can be placed on the wall, hanging to the ceiling or in the middle of the room as a partition element. 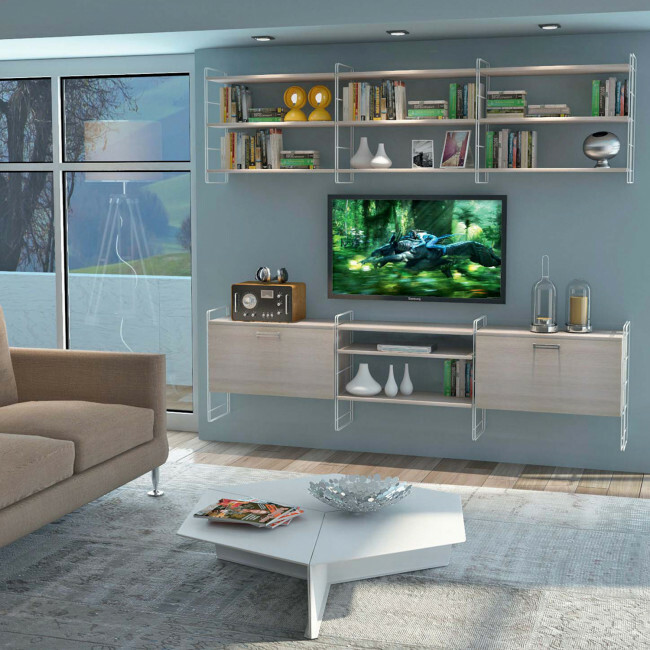 The modular feature of this bookcase makes it possible to get custom made solutions suitable to furnish domestic environments, offices of commercial premises.